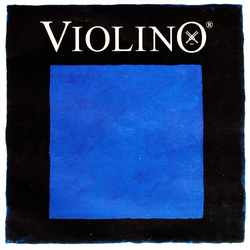 Violino is the third string in the series Evah Pirazzi, Olbligato and Violino. Utilising the same multi strand core these strings are lower in tension producing a well rounded, warm tone with a lighter bow pressure than may be necessary with Evah Pirazzi and other higher tension strings. A very good string and excellent value for money.